Sure-Foot Industries’ BOLD STEP® aluminum extrusions are a permanent attractive solution. Ideal for use on interior or exterior steps and landings. 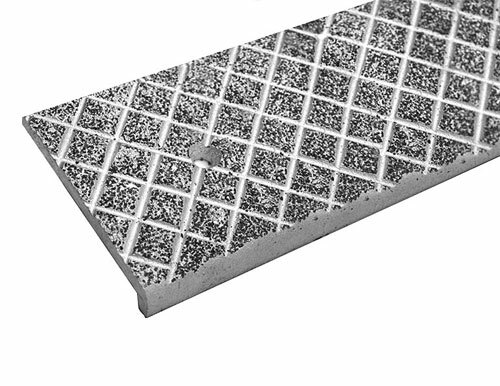 Our superior BOLD STEP® coating system resists chips, dirt, scratches, and oil unlike open cell porous products. Customize our extrusions to give a distinct look and feel to match the overall design for your building. Our wide range of non-slip stair treads functions as a permanent solution to enhance the safety and attractiveness of any commercial property. Maintaining a safe working environment is an essential consideration, and we make it easy to protect employees from slips or falls while clearly identifying any hazards. 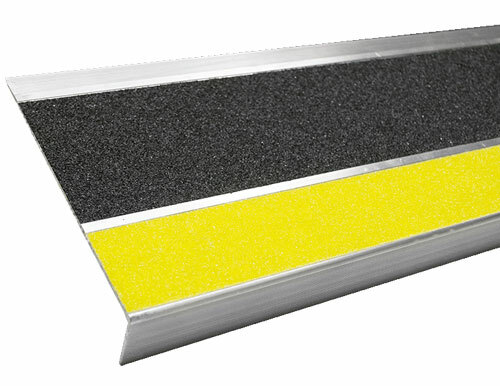 Shop our non-slip treads for excellent traction and employee safety. Check out our BOLD STEP® stair tread FAQs . 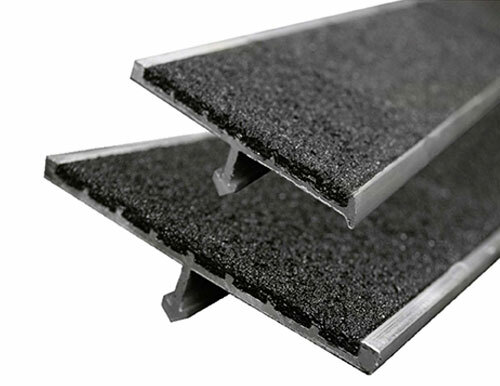 What Makes Our Anti-Slip Stair Treads Different? 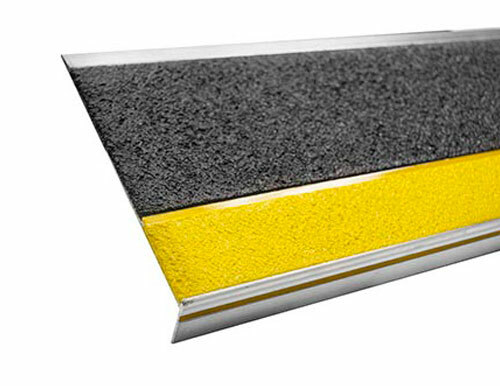 Our non-slip stair treads are specially coated with our superior BOLD STEP® coating system. This specialized coating helps our stair treads to resist chips, dirt, scratches, stains, and oil. With this coating, our products will provide long-lasting service. Our treads can be customized to complement the existing architecture of any building, as we can add a color or striping pattern that will increase awareness of possible hazard areas and to provide consistency between the treads and existing flooring materials and patterns. 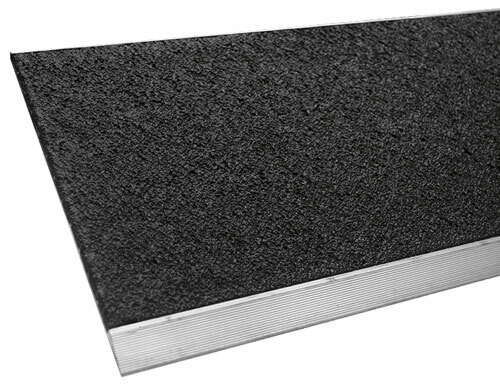 Our non-slip stair treads can be used on exterior and interior flooring surfaces. The message treads work to direct customers into and out of a building. Our hazard plates alert customers to potential tripping hazards such as steps or a change in elevation of the floor. 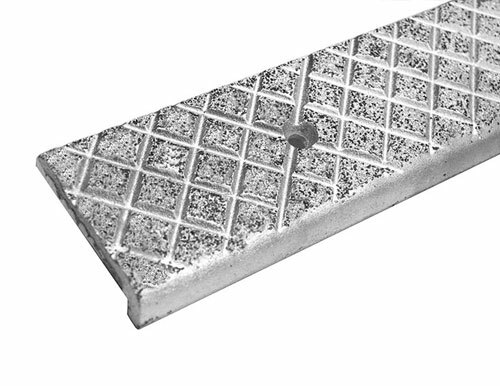 With the abrasive nosings or castings, customers can gain their footing in slippery areas such as around doorways. Our products will help keep customers safe in and around any location. Only the highest quality of materials are used on our non-slip stair treads. Our stair tread products are made of aluminum, and may include supplemental materials such as epoxy, grit and optional colors to enhance the function and attractiveness of the stair treads. Our selection of non-slip stair treads are available in a variety of widths and we’ll customize the length to suit the needs of your property. Contact us and speak with a representative about ordering our non-slip stair treads for your workplace renovation project!